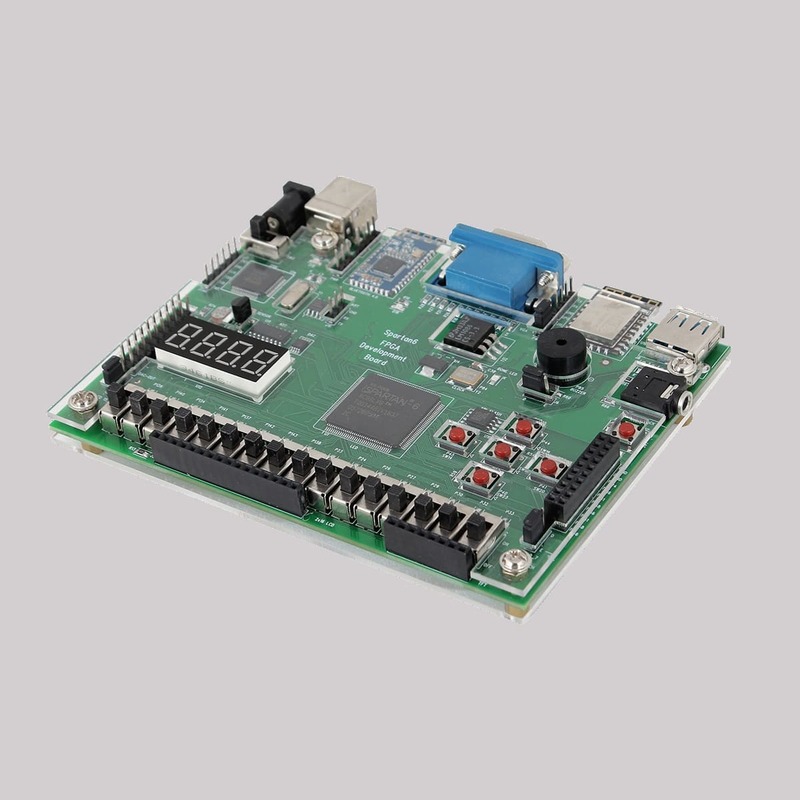 EDGE Spartan 6 FPGA Development board is the feature rich development board with Spartan 6 FPGA, SPI FLASH, ADC, DAC, LCD, 7 segment Display, WiFi and Bluetooth. The Board also provides additional interface like CMOS Camera and TFT Display at the expansion connectors. Note: The EDGE Spartan 6 FPGA Development board is fully compatible with Xilinx ISE, EDK, System Generator and ChipscopePro Tools at ease with on-board USB JTAG Interface. Xilinx offers free WebPACK™ versions of ISE tool, so designs can be implemented at no additional cost. 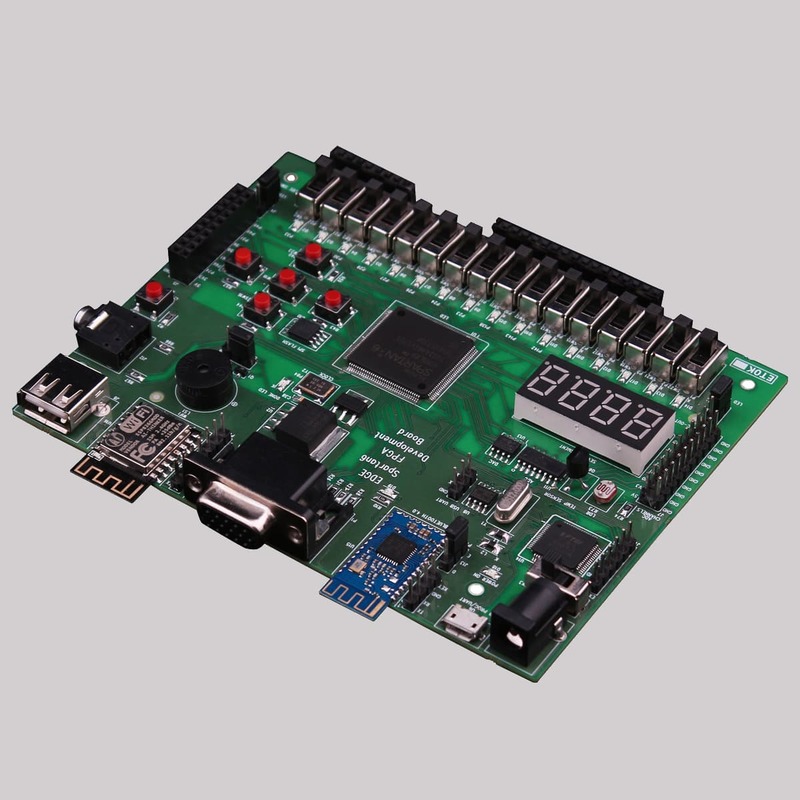 EDGE Spartan 6 FPGA Development board is the feature rich development board with Xilinx Spartan6 FPGA, SPI FLASH, ADC, DAC, LCD, 7 segment Display, WiFi and Bluetooth. 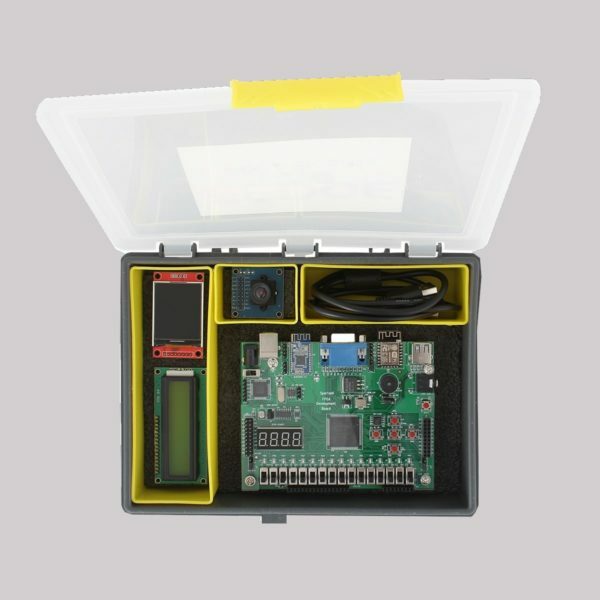 The Board also provides additional interface like CMOS Camera and TFT Display at the expansion connectors. Invent Logic warrants its products against defects in materials and workmanship for a period of 90 days from the date of purchase. If you discover a defect, Invent Logics. will, at its option, repair or replace. After 90 days, products can still be sent in for repair or replacement. There will be some inspection/labor/repair fee. Free shipping for all the orders within India. Shipping is done through DTDC/ Professional Courier. Flat 25$ USD for all the international orders. Shipping is done through DHL International Express. 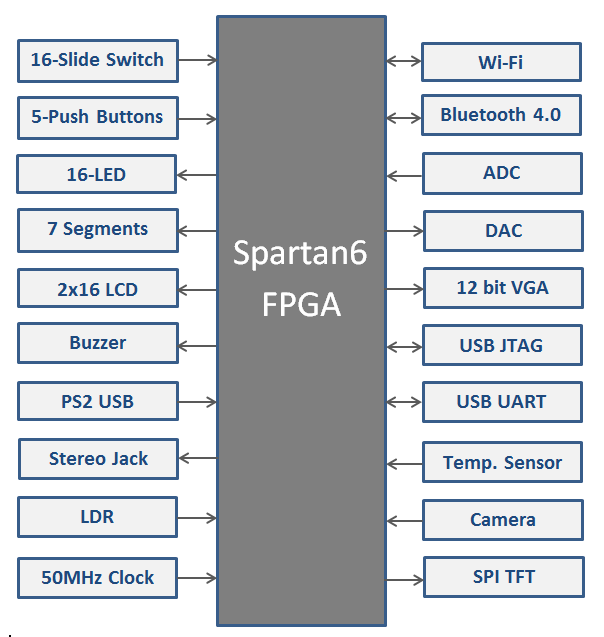 Which software is required for programming the EDGE Spartan 6 FPGA Board? 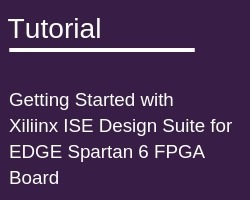 EDGE Spartan 6 FPGA Kit works with Xilinx ISE 14.7 Free Web Edition Software. 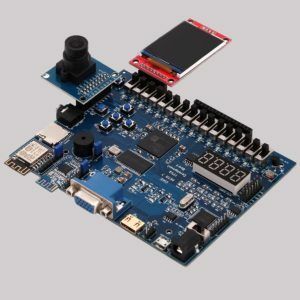 Does the EDGE Boards require external 5 V adapter? By Default EDGE Boards are powered through the USB port. External 5 V power adapter is optional. It is required only when the application require higher current then USB . 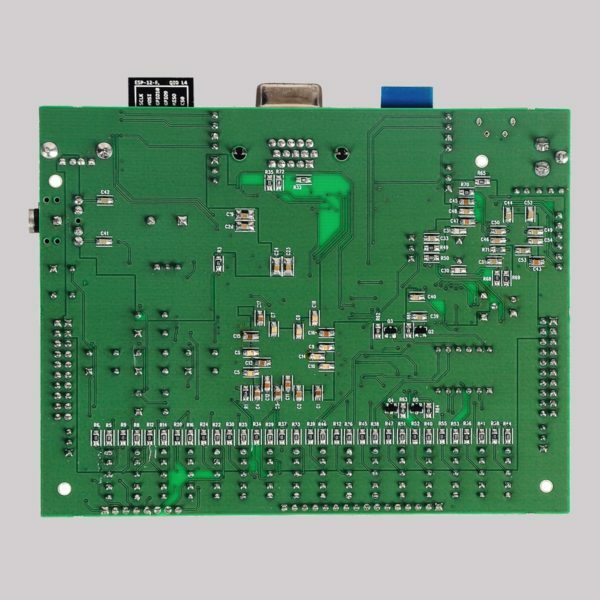 Are there distributors for EDGE boards in other countries? 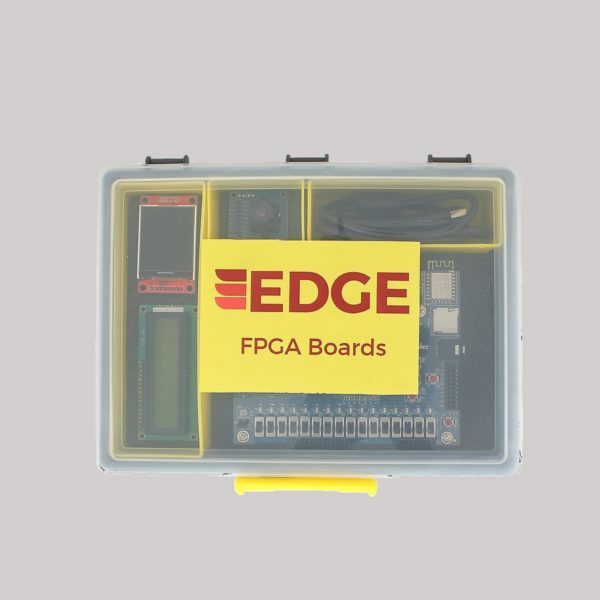 Currently, we are selling EDGE boards only from allaboutfpga.com . We ship the product to most of the countries worldwide. What kind of support will be provided after the board is purchased? We will provide support related to installation and tool working. Also example codes for the EDGE board will be provided. 8 channel 12-bit SPI ADC, 6 channel available at J7 Connector. Keyboard interface on USB connector. Only compatible with 3.3v Keyboard. USB JTAG for Programming and Debugging. Fully Compatible with Xilinx iMPACT, Chipscope Pro, Xilinx System Generator, Xilinx Platform Studio. I would like to recommend this board, for the kind of prompt support I am getting for any sort of hardware or software related issues I faced while using this board. Really satisfied and happy with the purchase. Great Dev Platform to start building your prototypes, and added to that very good documentation and immediate assistance with any issues. Edge Spartan6 board is very useful. The support is good too. Issues are rectified promptly. EDGE Spartan 6 FPGA development board is an excellent kit for beginners like me. This provides feasibility approach to test our ideas as well. Because of the features included with kit. I purchased this product and it was very useful with so many interfaces. Also the support from technical sideto implement the concept is very much satisfied and worth to purchase the product. Have many plans with this board to develop various applications. One of the best FPGA board for beginners, provided with multiple on-board peripherals like Bluetooth, WiFi, LCD,etc. Guides and examples are sufficient to start burning codes and learning more. 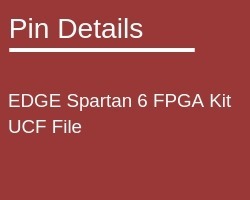 Nice work with Edge Spartan6 FPGA Board. Great!! Technical support. I recommend this product for fresher and college students. Ordered the product from Boston. To my surprise, i received the product in 2 days! Tested with example codes and all looks fine. Planning to develop new application with it. Will share more details once i started working on my project. 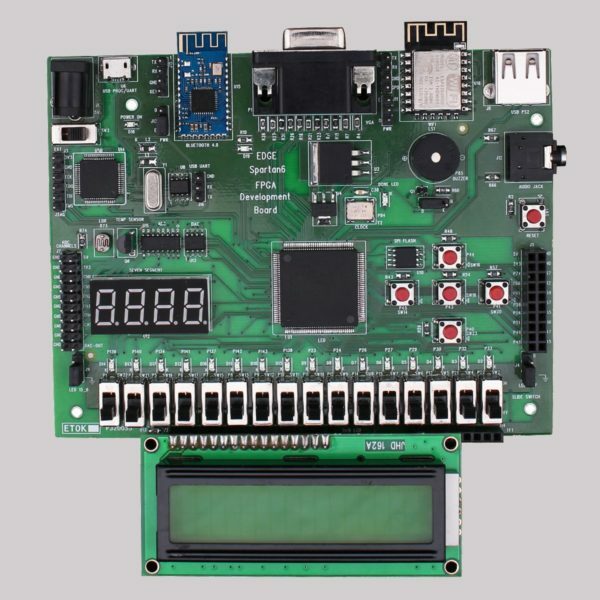 The FPGA board has all the required components required to start learning FPGA. 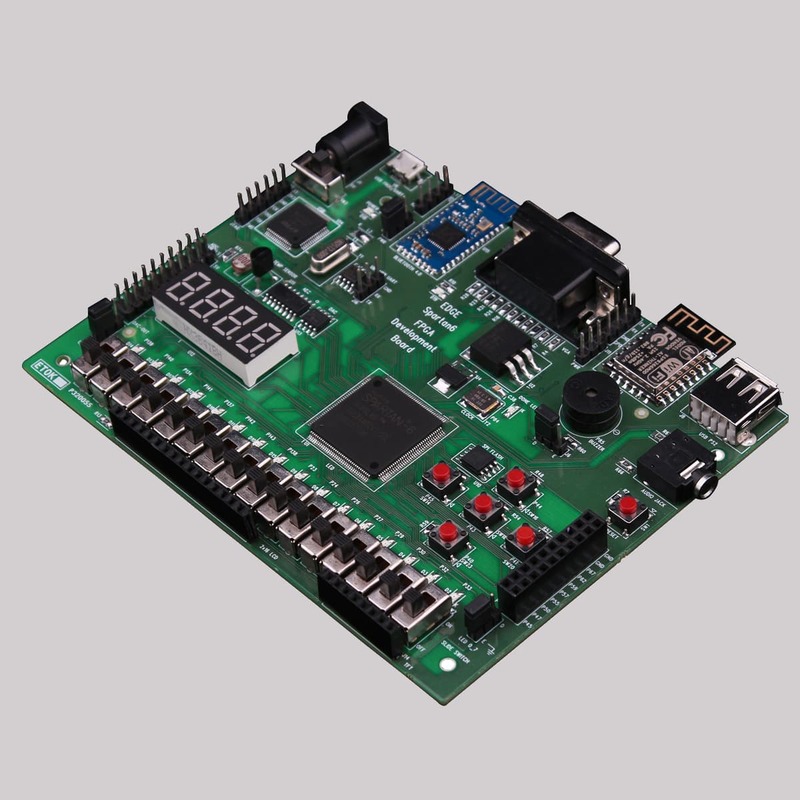 From the basics of LED control to WIFI and bluetooth module which was already attached to the board is available. 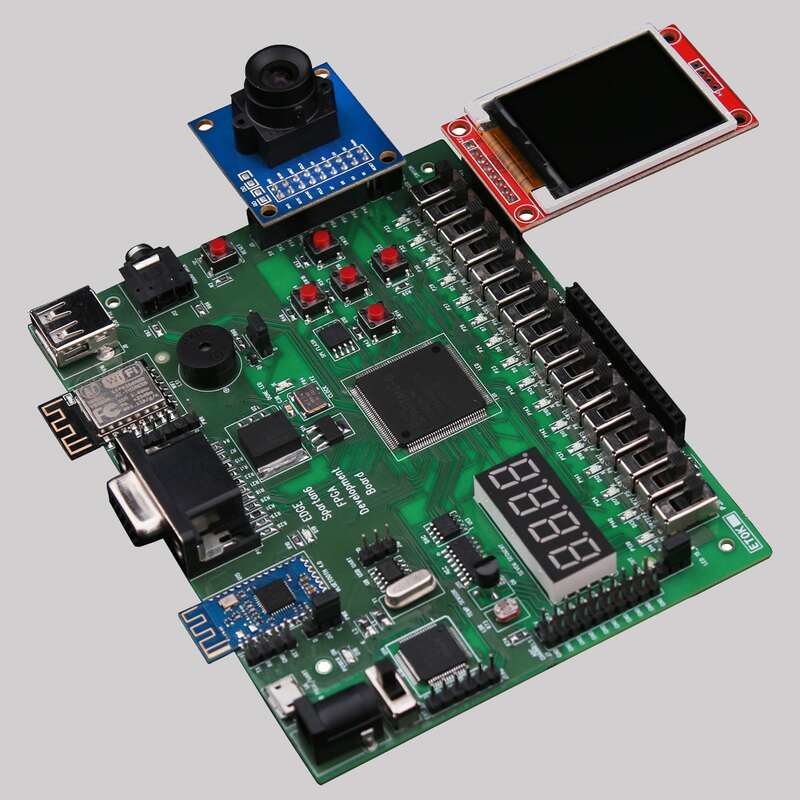 Also the TFT board and camera module helps in image processing experiments. Overall satisfied with the board design and also the support offered by the company. The example codes were also made available by the seller which was useful for me to get started. Kind of support provided by them is awesome. Definitely a good for FPGA community. Best board for learning FPGA implementation. I love the board for it’s features. Faced issue in driver installation. Great support from support guy in solving issue on window 10 OS. ???? Regarding product quality, awesome ???? Value for money and good packing. 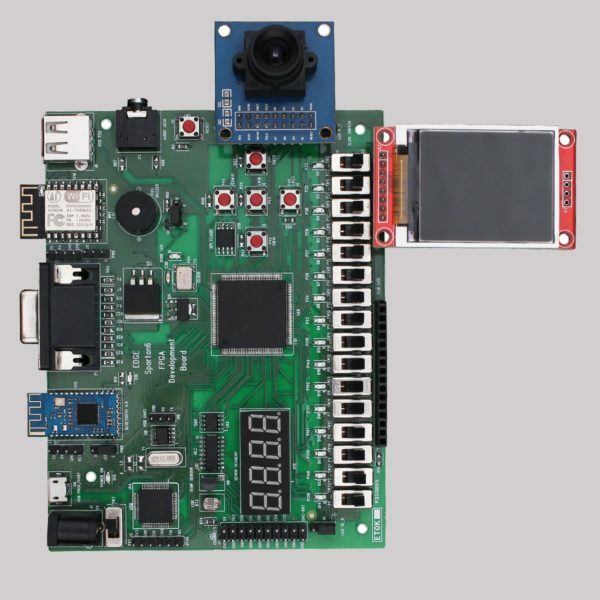 I purchased this FPGA kit for my phd work on image and video processing. Working good for my purpose. 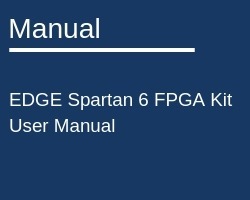 I recommend EDGE Spartan6 FPGA board for beginners. The complete set of interfaces help me to learn a lot with FPGA. 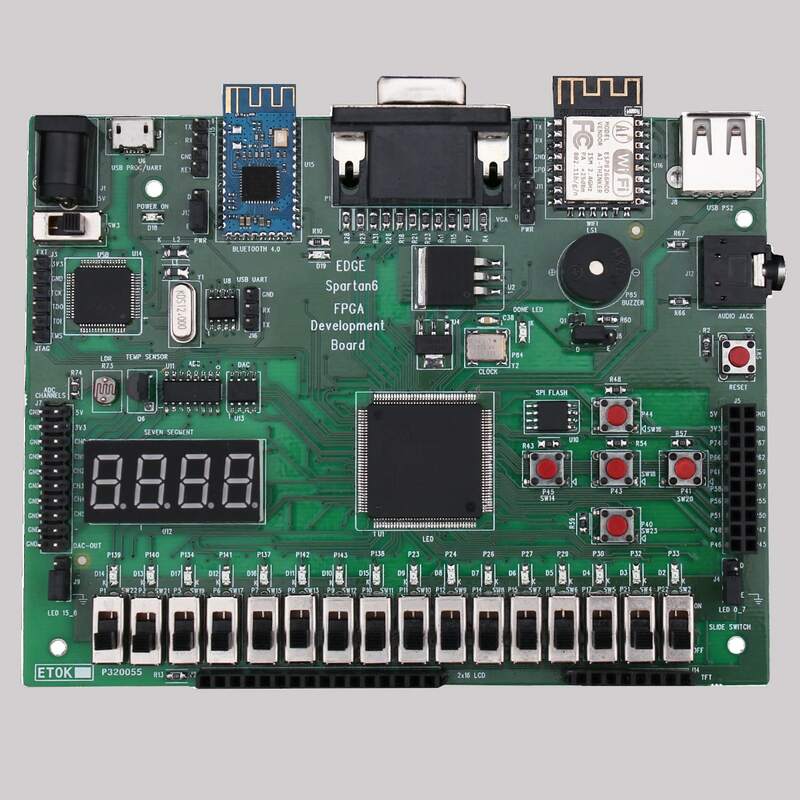 I was looking out for a FPGA board which is user compatible, especially for the students with no prior experience to an fpga kit. That is when I got to know about this product. 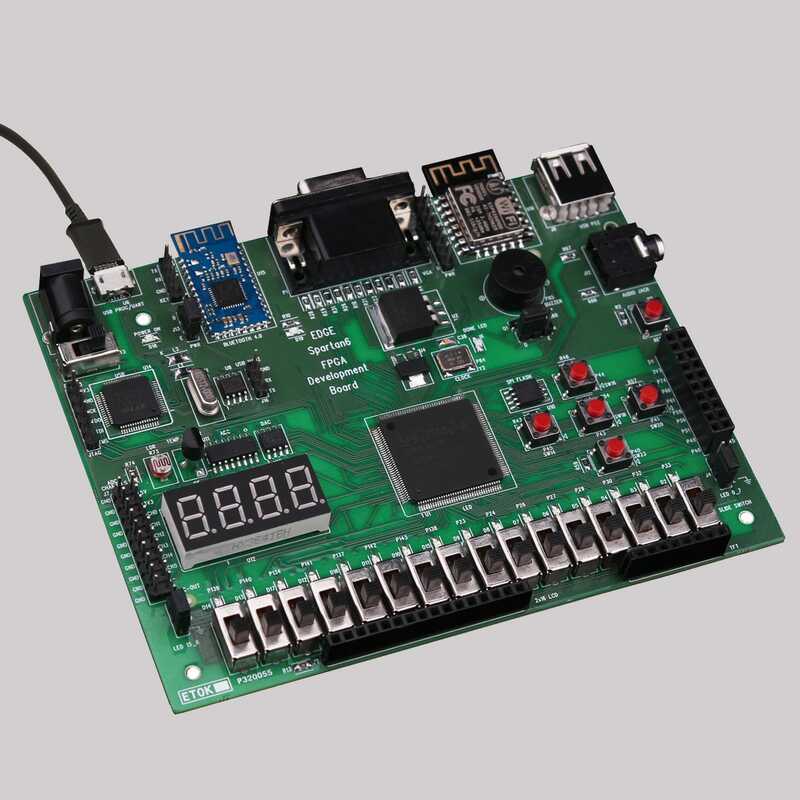 It is an amazing board for developing buddies with interest in FPGA. 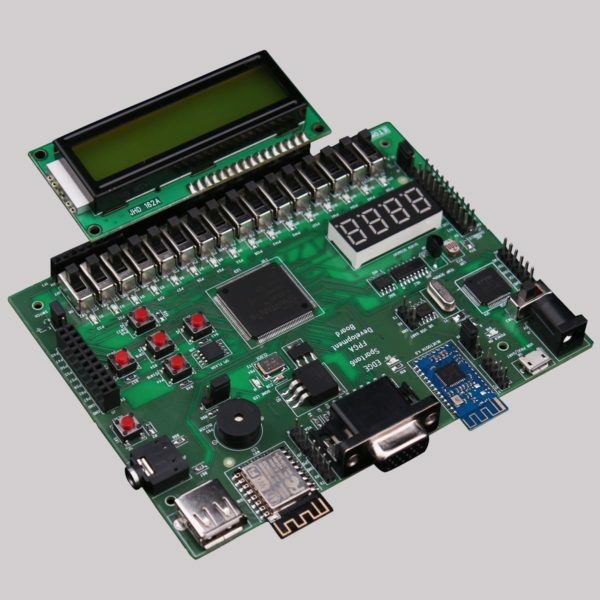 It provides all the necessary basic modules required to learn and expertise in FPGA. Thanks for this product! FPGA with IoT is what i am looking for my academic project. I come across this EDGE Spartan6 FPGA Development Board with WIFI ready! Happy with my purchase.